"You have to do something with your life. What are you good at?" 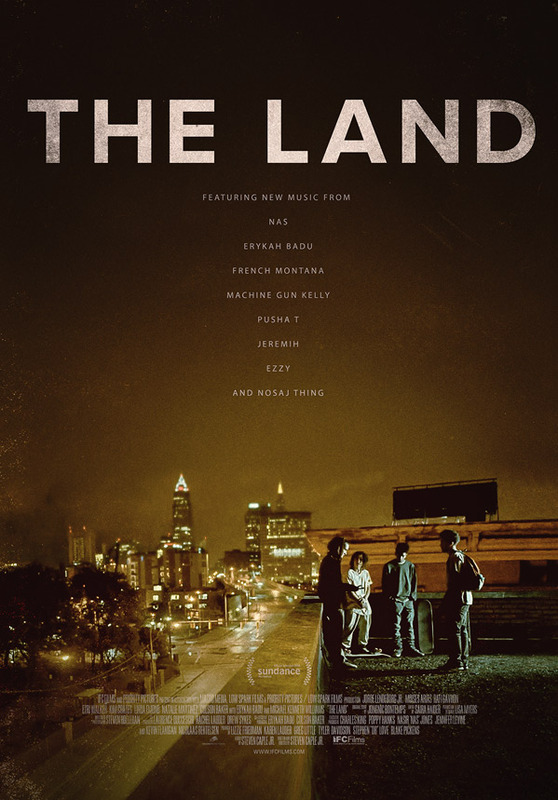 IFC Films has debuted this excellent full-length trailer for Steven Caple Jr.'s skateboarder indie drama The Land, which we featured the teaser trailer for just a few weeks ago. The film is about four teenage boys who spend their summer trying to figure out how to escape the streets of Cleveland, but end up caught in a drug deal gone bad. The cast features Erykah Badu, Michael Kenneth Williams, Jorge Lendeborg Jr, Moises Arias, Rafi Gavron, Ezri Walker, Machine Gun Kelly, & Kim Coates. This seriously looks damn good, don't skip it just because you don't think you'll be into it. The Land looks like a stylish coming-of-age indie gem poised to break out. The Land tells the story of four teenage boys who devote their summer to escaping the streets of Cleveland, Ohio to pursue a dream life of professional skateboarding. When they get caught in the web of a local drug queen-pin, their motley brotherhood is put to the test. The Land is both written and directed by American filmmaker Steven Caple Jr., making his feature directorial debut after producing "Class", and also directing a few shorts previously. The film is executive produced by Nas, starring Machine Gun Kelly and Erykah Badu. First premiered at the Sundance Film Festival this year in the NeXT category. IFC Films will release Caple Jr.'s The Land in select theaters + VOD starting on July 29th this year. Anyone interested? Really like the look of this. just wondering who is going to die though. Must see for the soundtrack.